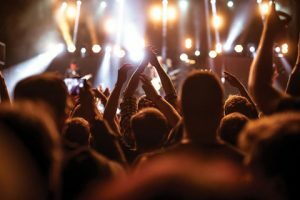 Book with Dallas Concert Limousine Rental Services Transportation for weekly local music venues or annual music festivals and concerts. Let us worry about driving and parking so you can enjoy the evening in any of our popular concert vehicles below. Get your free quote today! Affordable limousine options available starting at 8-10 passengers. Round Trip rates or Hourly Rates available for your after concert night on the town. Start the party on the way to and from any Dallas Concert Venus in a Party Bus. Most affordable transportation option up to 3 passengers. Your designated driver will drop you off and pick you up right up front. Next most affordable option, book The Mercedes Sprinter Van for 10-14 passengers for your next Concert in Dallas. Shuttle all your friends with Round Trip Rates and Hourly Rates to the House of Blues in a Shuttle Bus. Charter Bus is a great option for corporate and large party groups. 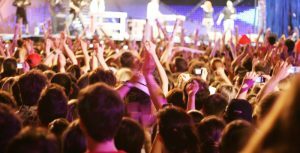 Transport up to 56 passengers to your next music concert venue.